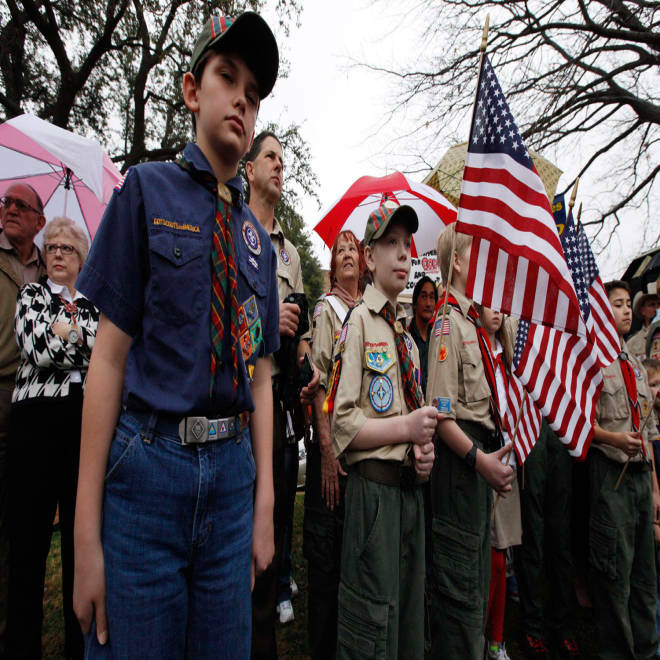 A crowd of Scouts, parents and supporters gather during a prayer vigil at the Boy Scouts of America headquarters in Irving, Texas, February 6, 2013. Since the Boy Scouts of America announced last week that it may end its ban on gay Scouts and leaders, NBC News has received hundreds of emails from Scoutmasters, parents, Scouts and various church representatives sounding off on the issue. Some rejected lifting the exclusion of gays, others welcomed it and yet others called for more time to deliberate on the matter. 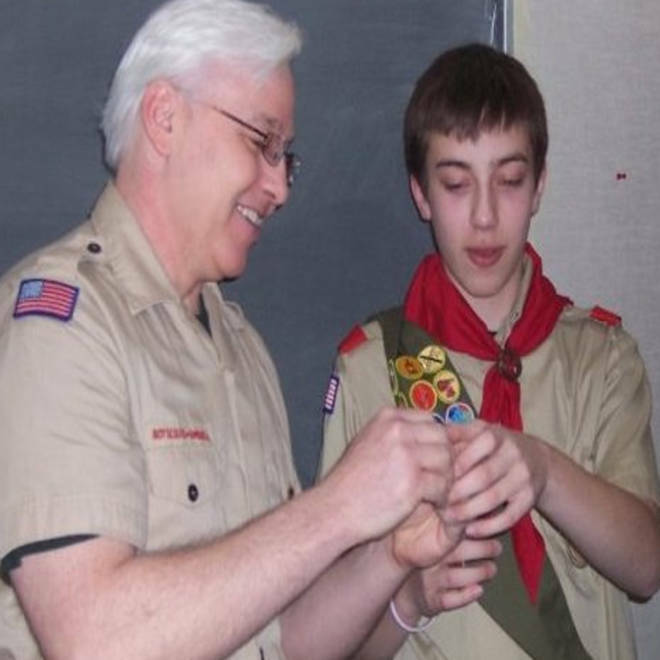 Tristam Harrington and his son, Nate, when he received his Life Scout rank in 2009. 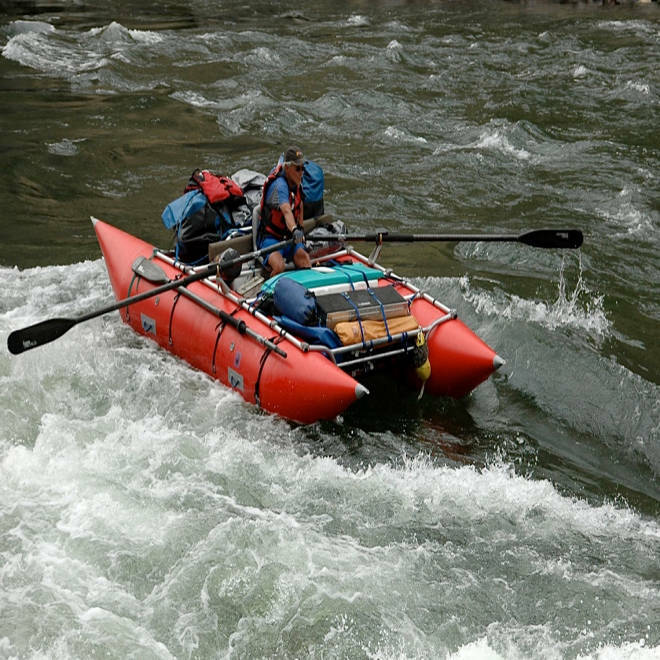 Steve Gates, Scoutmaster of Troop 98 in Taos, N.M., rowing a cataraft on a Scout trip. “I for one am excited and happy that the gay issue with BSA has been tabled, and the scouts are safe once again, for now. I do not nor will I accept a gay leader to lead and mentor my son, anywhere. Young boys minds are very impressionable. I'm not saying that gays would touch my son physically, but could effect him mentally. The family unit is being trodden down and torn apart … I say no, a Big no. Our scout (11 yrs old) will be receiving his Arrow of Light very soon, and leaving Cub Scouts in a few weeks to go into Boy Scouts. If gays are let in, he will NOT be continuing on in his Scouting, which is sad indeed. I'm sorry about the gays missing out on Scouting, but they knew what the standards where when they joined, Morally straight! This will destroy Scouting if it is allowed, soon they will want to make lots of changes, like taking God out too. Gay is gay and straight is straight. Enough is enough. -- Zach Conen, Radnor, Penn. His son is in Wolf Den Pack 19. He has been considering removing his son over the ban. -- Andrew Coleman, 22, Eagle Scout, Fitchburg, Mass. If you are a current or former member of the Boy Scouts and would like to share your thoughts on how your troop, pack or council is handling the BSA's decision on the membership policy, you can email the reporter at miranda.leitsinger@msnbc.com. We may use some comments for a follow-up story, so please specify if your remarks can be used and provide your name, hometown, age, Boy Scout affiliation and a phone number.